Seller will pay up to $5,000 of buyer&apos;s closing cost with sellers preferred lender. Also give the buyer full move in package of fridge, blinds, washer/dryer with closing on or before June 30, 2019. 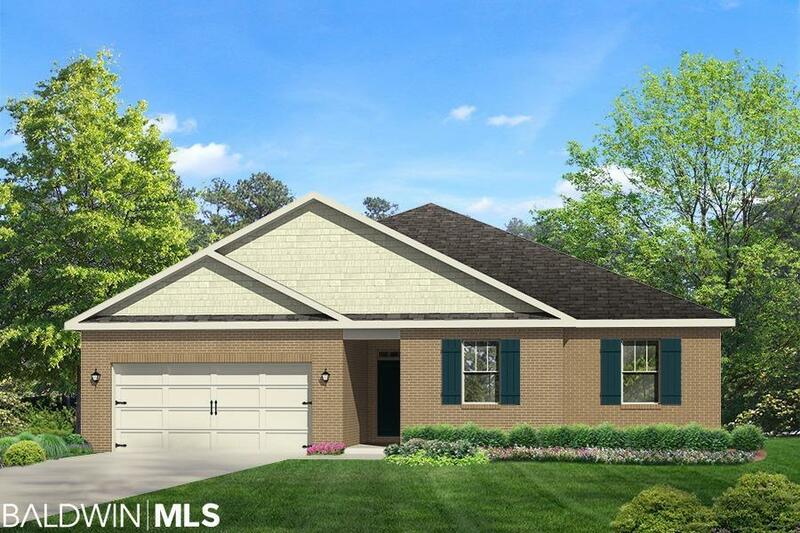 Retreat to Charmont a beautiful new Neighborhood in a quiet country type setting in Loxley. We are just minutes from shopping at Sams Club, Lowes, Publix and I-10. Charmont has Homes for your Life and Style. There is a community pool, baseball field, city sidewalks, underground utilities, and lake. Our homes feature an open kitchen with walk-in pantry, a large island and an overhang just waiting for your barstools. Upgraded LVP flooring is throughout the house with carpet in bedrooms only. Master Retreat with a private master bathroom, large walk-in closet, double vanity, 5' shower, soaking tub and private water closet. Large covered rear patio for entertaining or just relaxing. This home is being built to Gold FORTIFIED HomeTM certification, which may save the buyer on their homeowner's insurance. (See Sales Representative for details.) **This home features our Home is Connected (SM) Smart Home Technology. Pictures may be of similar but not necessarily of subject property. Home is USDA eligible. Directions: From Hwy 181 And Hwy 90 Go East On Hwy 90. Turn Right On Co Rd 66 N. Home Will Be On Your Left. From Hwy 59 And Cr 64 Go West On Cr 64. Turn Right On Cr 66 N Home Will Be On Your Right Just After The Entrance To Charmont.